A charitable organisation set up to lower electricity and gas double glazing bills for households across Britain has claimed that 24 per cent of residents in Pendle, Lancashire, are suffering from fuel poverty. The North West of England has been identified as one of the poorest regions in the UK, so it ought to come as no surprise that one of its towns is struggling to cope with fuel poverty. The extent to which households in Pendle have been gripped by fuel poverty, however, is a major cause for concern among politicians and charities in the area. The findings were published by Energy Bill Revolution, which aims to lower domestic energy bills. Approximately 9,000 homes in Pendle can be described as fuel poor, making it among the most deprived in Lancashire. Energy Bill Revolution consists of numerous companies, groups, organisations and charities that have joined forces to tackle fuel poverty. A member of the alliance, Transform UK, is calling on government officials to use the taxes levied on domestic energy bills to provide new insulation projects such as loft and cavity wall insulation for example, for the most vulnerable households. Transform UK Director, Ed Matthew, said: “It is scandalous that anyone in a developed country should face the choice of whether to buy food or heat their home. From next year the Government will have the money to end the blight of fuel poverty”. Mr Matthew’s comments refer to the funds that will be generated by the European Emissions Trading Scheme, which comes into effect next year. According to official estimates, the British Government will receive approximately £4 billion every year from this new carbon tax. 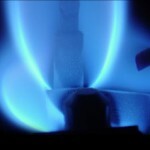 At least four million households in England can be classified as fuel poor. 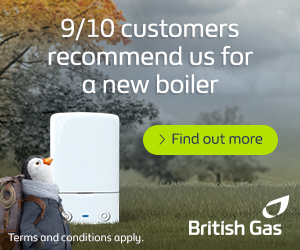 A household is described as fuel poor when at least 10 per cent of its income is spent on heating to maintain a “satisfactory” condition. One of the reasons why Pendle is blighted by fuel poverty is that many homes in the area are poorly insulated. Pendle MP Andrew Stephenson is hoping for improvement. Mr Stephenson commented: “We have a great community in Pendle and we can all do our bit to make sure that our friends and family are getting all the help they can”.